Select the premium size of your choice of ForYourParty's Hello Entertaining Set and style your powder room with this cute hand towel set or give as a thoughtful and chic home gift fitting any occasion. 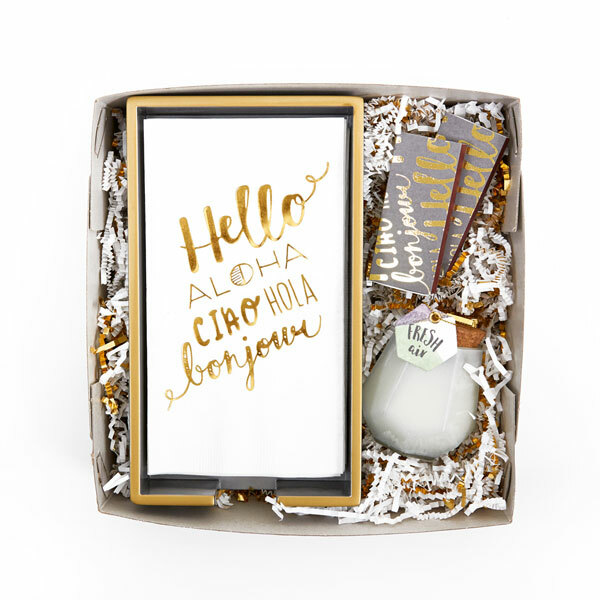 Say hello to your new gift giving best friend—the ForYourParty Hello powder room gift set! With 3 different set options within the design style, you can select the right size for your holiday gifts or even to spruce up your own restroom. 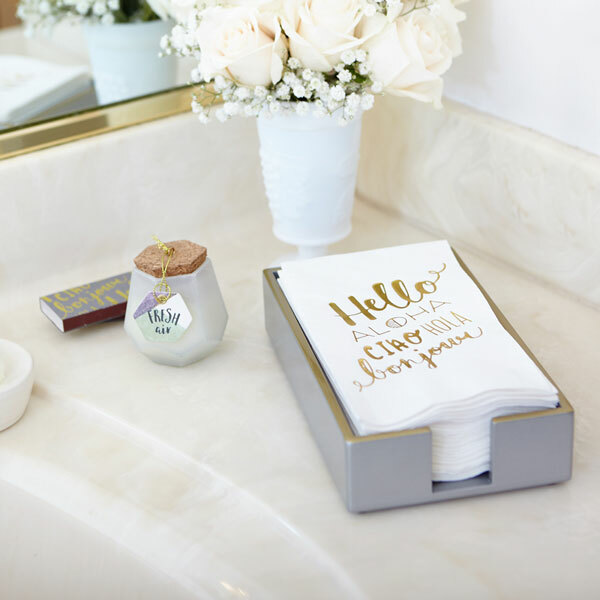 This stylish bathroom decor is perfect for upcoming bridal shower gifts, hostess gifts, birthday gifts and housewarming gifts on your gift giving calendar. 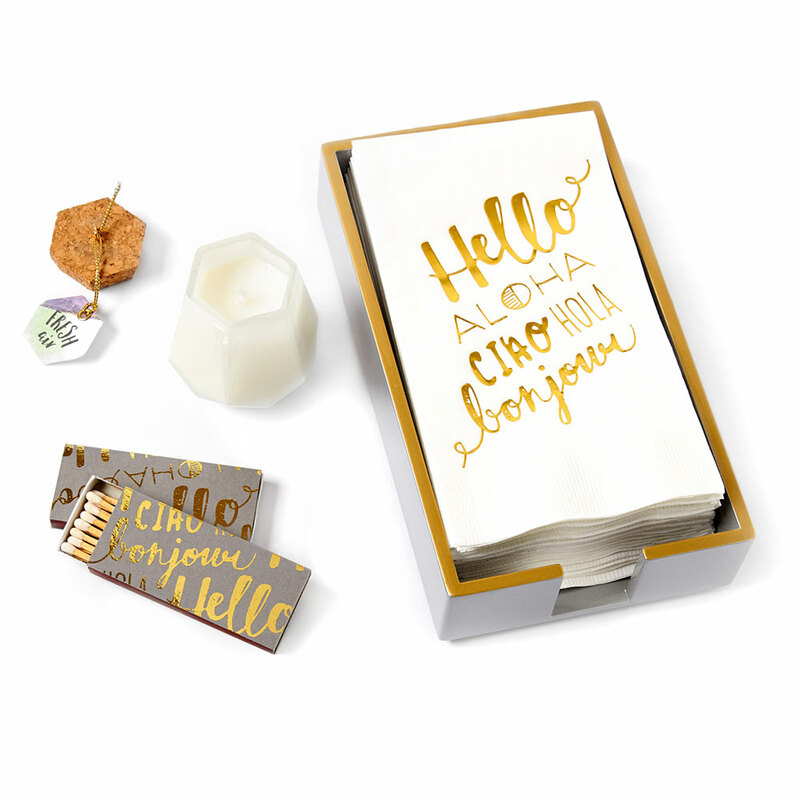 The Hello powder room gift set includes hand towels with a trendy design of Hello in multiple languages. Plus, coordinating candle matches with gorgeous gold foil. Choose to include either a Paddywax candle (with a reusable holder!) or a sleek silver lacquered wood towel tray. Can’t decide? Opt for the Deluxe gift set that includes both the candle and the guest towel tray! 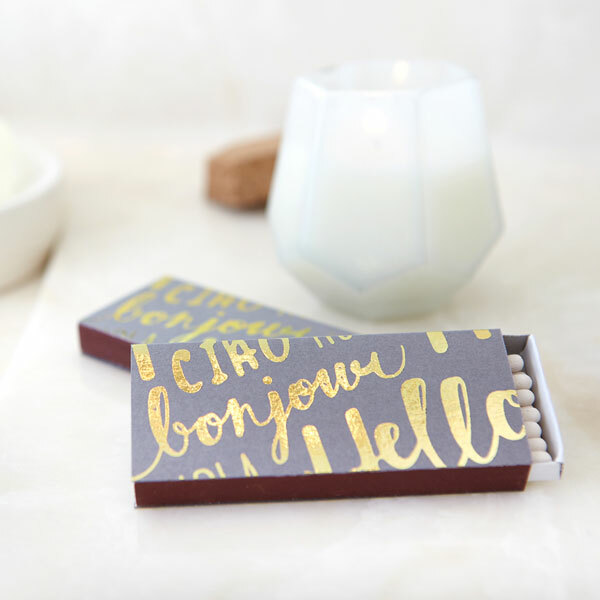 Since these gold foil hand towels and matches are printed with greetings in multiple languages, this powder room gift set is a great option for that well traveled friend with impeccable style. With same day shipping offered on all gift sets, the For Your Party Hello powder room gift set delivers fabulous style right on schedule! Keep a few extra Hello powder room gift sets on hand for last minute holiday gifts, or for your own home use of such fabulous designer curated products.